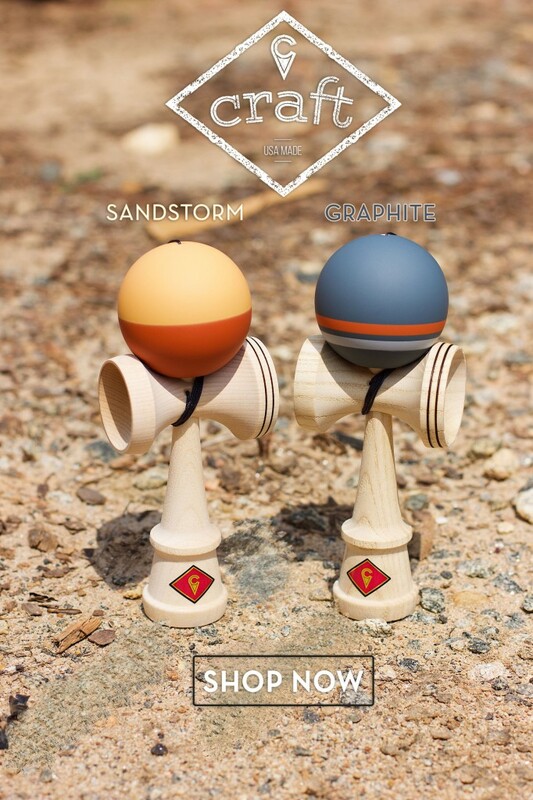 The Craft Sandstorm and Graphite Kendamas were inspired by a trip to Nevada’s Valley of Fire! The 2017 Toy Fest West show was going down in Las Vegas and during a free day, Scags and Jero ventured a few hours out of the city lights to the great shifting sand dunes. The landscapes were so perfect it was crazy to comprehend what we were seeing! Pictures, clips, tricks, we had to be Abel to share this experience somehow! After snapping a few pictures and reassuring ourselves that the views were THIS epic – we had to pay the memory forward and design these colors for tamas! Pick up a Craft Color from Kendama USA and create your own ventures, memories, and stories to share! Check out the edit and get lost in the landscapes that the Valley of Fire. Check out the edit and get lost in the Valley of Fire’s landscapes . The Kendama USA Pro Team is currently in Japan exploring Kendama’s roots, players, and experiencing the homeland of this toy that has changed all of our lives. For 2 weeks in November 2012 we will be high on life and bringing you updates from the trip. Below is the first photo journal installment. 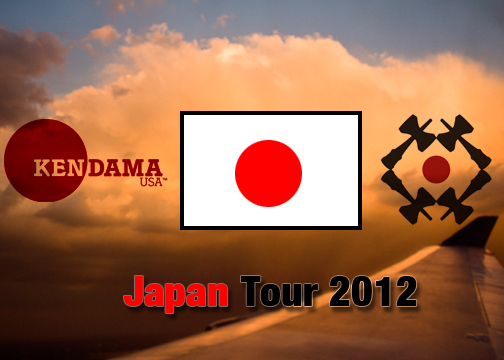 The Kendama USA Pro Team travels to Japan to explore Kendama’s roots, players, and experience the homeland of this toy that has changed all of our lives. For 2 weeks in November 2012 we will be high on life and bringing you updates from the trip. 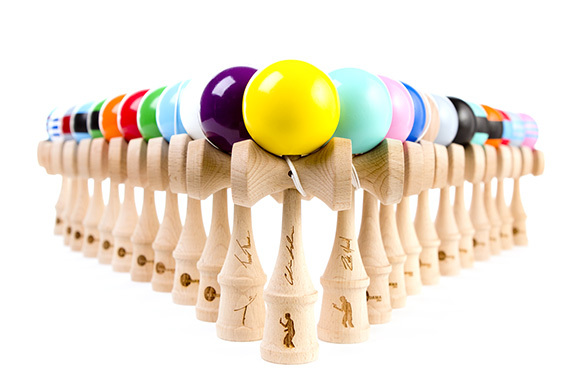 The Kendama USA Premiere Line is here! For a very long time we dreamed about producing our own Kendama, and after years of hard work that dream has become a reality. Years of playing Kendama, plus mountains of feedback from our Pro Team and customers has taught us what works and what doesn’t. Our vision was to make this amazing skill toy even better. The premiere line is crafted from beechwood, and is the first Kendama to use metal reinforcement in the handle, allowing the cups to be permanently secure. No more hassle pushing these pieces back together constantly or worrying about glue. This new design has also simplified the entire re-stringing process. We made our paint quality a top priority, and finally found a custom painting technique that could pass our rigorous testing standards. Our Kendamas have multiple layers of high quality paint that are more resistant to chipping, improving the cosmetic life span of your Kendama. The sticky paint surface gives great grip on technical balance tricks like lunars and lighthouses. All our paints have been inspected by certified laboratories to meet or exceed all US toy regulations. The Premiere Line consists of single colors, stripes, triple stripes, and the very first Pro Model series, complete with engraved signatures. We have worked closely with an incredible team of designers to create a package that compliments the elegance of the Kendama. 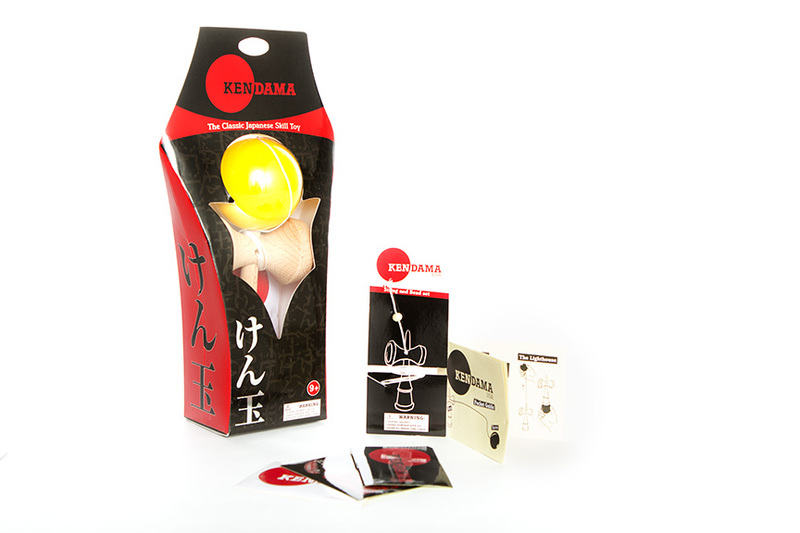 In addition to the new Kendama, each package includes an instruction guide written in English, a replacement string and bead, and stickers. The Japanese concept of Kaizen simply means “continuous improvement”. 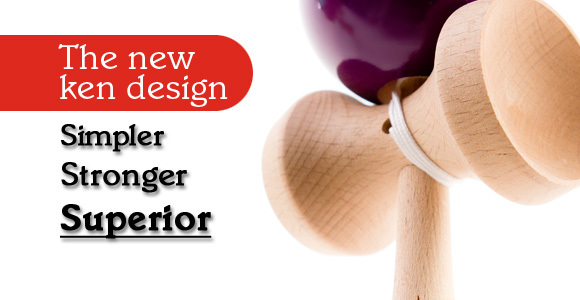 We believe that even something as amazing as Kendama can be even better. We hope you like the Premiere Line as much as we do.